（6）Standby battery: The standby battery can supply power for at least 30 minutes. （7）Aterial pressure, venous pressure and TMP monitoring. ★ Blood pump+ assistant pump: The two pumps have the same function and can be used for urgent problem or for other clinical application. 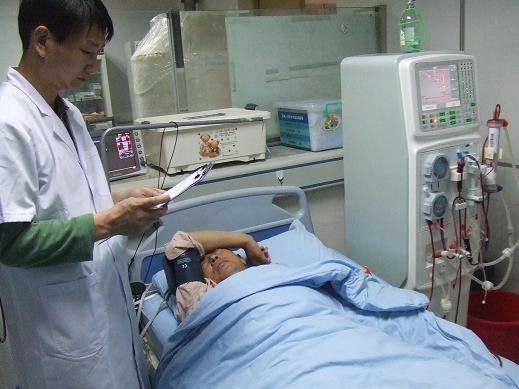 ★ Personalized dialysis: can adjust the sodium density and UF curve according to patients' case. ★ It can use different brands of disinfectants and saves lots of cost.